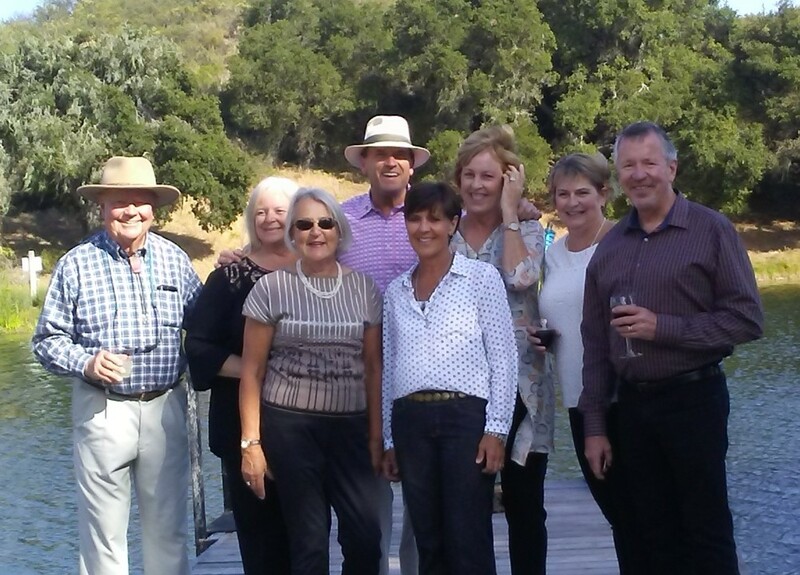 Generous benefactors of Elverhoj Museum of History & Art, which is celebrating 30 years in 2018, came together at Jonata Vineyards to honor the Danes who settled in Solvang over a century ago and the locals who have supported Elverhoj Museum of History and Art with an outstanding sixth Annual Solstice Sundowner 'Sunset to Firelight Party' featuring a Savoir Faire catered dinner served on the exquisite lake property belonging to Jonata Vineyards. Elverhoj Museum has played a major role in preserving the customs and culture that the Danes brought to this area in 1911. The lovely crowd in attendance, many of whom were local area Rotarian’s, enjoyed a reception and silent auction, delicious dinner buffet and live auction followed by coffee and dessert. The grand finale was the lighting of the traditional Sankt Hans Aften Bonfire (a Danish tradition in honor of Saint John the Baptist born in June) tended to by Rodney Nielsen and Bruce Pedersen. Live music was provided throughout the evening by Solstice entertainers while Sundowmer refreshments served included Sun downer Shrub Coolers, Evan's Ranch 2015 Las Brisas Chardonnay, Fess Parker 2015 Marcella's Rhone White Blend, Andrew Murray 2016 Tous Les Jours Syrah, Figueroa Mountain Brew Co. Paradise Road Pilsner, as well as coffee and mango tea. The live auction items were outstanding and included a picnic with winemaker Rusack Vineyards for 6, Hot Air Balloon Ride & Champagne Breakfast, Alisal Horseback/Hay Wagon Breakfast Ride for 4, Private cooking lesson & dinner with Chef Budi Kazali, holiday in Malaga Spain, Tom's Airlift Helicopter Ride & wine tasting, Qupe box seats & wine at Dodger Stadium, Week at an Italian Villa, and so many more amazing items to raise funds. 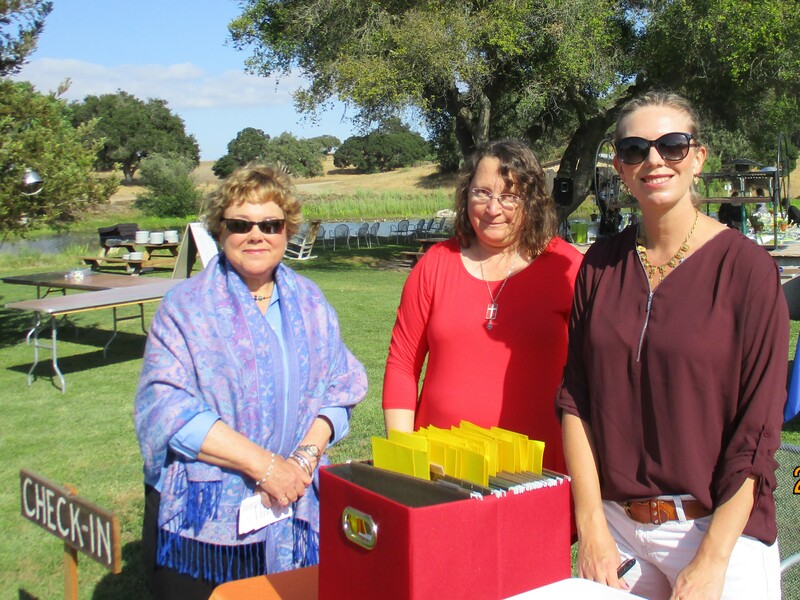 Solstice Sundowner sponsors for the event included Jonata, The Copenhagen House, Montecito Bank & Trust, C&D, AB Bernstein, El Rancho Marketplace & The Alisal. The kindness and generosity of these local people to raise funds for Elverhoj Museum was awe inspiring, and auctioneer Allan Jones did a fantastic job getting the crowd bidding. Erik Gregersen, Board Member and Event Co-Chair gave a charming introduction and Esther Jacobsen Bates, Executive Director and her Elverhoj staff, as well as the countless volunteers, were so hospitable and did an amazing job. It was a truly magical evening and I am so grateful to have been there. Mange Tak to these caring and dedicated Solvang people, and congratulations on a superb event in support of Elverhoj Museum of History & Art. To visit the Elverhoj museum or make a donation visit: www.elvrhoj.org. During a recent visit to Fred Brander Winery to celebrate the annual and renowned Argentine BBQ, I not only enjoyed one amazing BBQ luncheon, prepared by Fred, his son Nicholas and two devoted friends, but learned of Fred Brander's recent efforts to turn the January 9 Montecito tragedy into a heart warming labor of love that would ensure hope springs forth form heartbreak in the form of a new wine varietal. The Oak Creek flood ran right through the award winning wine makers property in Montecito following the Thomas Fire, and when the rain came, the water crushed down the creek bed leaving 900 tons of mud, rock and rich ash nutrient soil piled behind his home. The disastrous mudflow that so tragically hit Montecito gave Fred Brander, referred to as the “King of California Sauvignon” the brainstorm idea that in the aftermath of the flood he would take what Mother Nature threw at his community and turn it into a future blessing at his Vineyard at 2401 N. Refugio Road in Santa Ynez Valley. Fred decided to re-use the debris from the storm hoping to bring about three major changes including clean up the area around his neighborhood in Montecito; help the county by moving tons of debris to an alternative site and, help his wines by enriching the soil for wine growth. 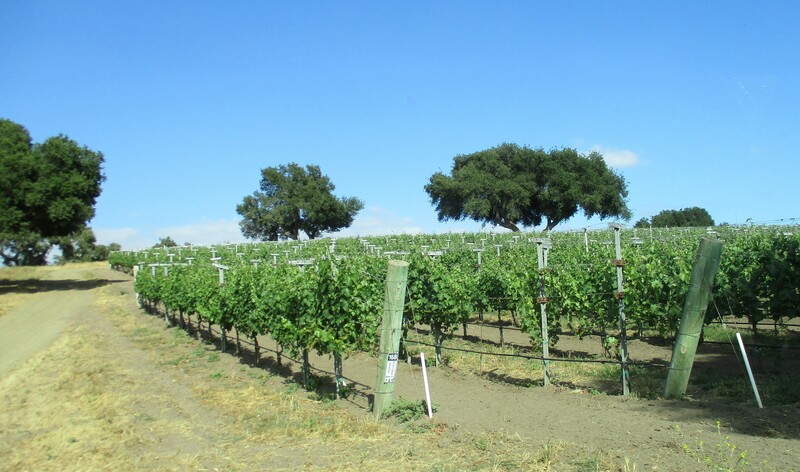 Brander is using the soil on his Cabernet Sauvignon vines, and in late 2019 he hopes to release the wine from the 'grapes of wrath' earth so to speak, with a portion of the proceeds going back into the Montecito rebuilding effort. Brander's winemaker Fabian Bravo seemed very enthusiastic about the soil for these vines, and said a wall of rock is scheduled to be built around the 42 acre property using the sorted out rocks brought from Montecito that will lend to the Brander landscape. Born and raised in Buenos Aires, he attended university in Argentina, Sweeden, France and England. His family immigrated to the US, settling in Santa Barbara in 1975. After graduation, with a master's degree in food science from UC Davis, his father Karl strongly supported him to buy land near the eastern end of Santa Ynez Valley to ensure a climate and soil suited to Bordeaux grape varieties. While I was photographing the vines during my visit to the vinyard, where the new soil is being distributed, I noticed a commemorative plaque honoring Fred Brander's father Karl Eric Brander, who passed away in 2010. I think it's a given that the Brander men who came before Fred are surely in the happy vineyard in the sky feeling very proud of the legacy he continues to give the wine industry of California. Brander has been a leader in the push to qualify his region as a separate viticulture area, and his petition to the federal government was approved in 2016 when the Los Olivdos District AVA was established. The most recent of Fred Branders many recognitions was awarded in May of 2018 when The Santa Barbara Vintners Foundation honored Fred Brander at the Santa Barbara Wine Auction as Vintner of the Year for his vision and dedication identifying, developing and promoting the Santa Barbara County premier wine region. 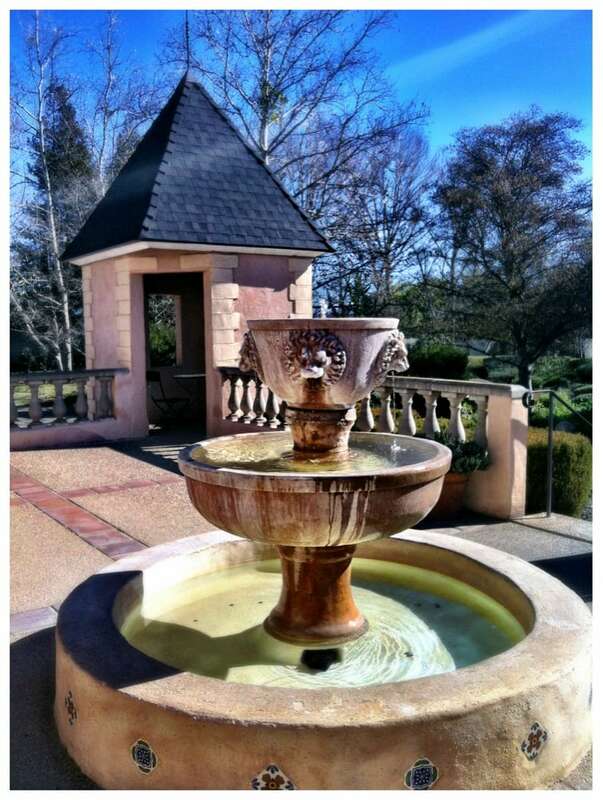 Brander Vineyard is one of the original vineyards in Santa Ynez Valley and the producer of world-class Sauvignon Blanc wines in a variety of styles, as well as small quantities of hand-crafted Bordeaux-style red wines. Their principal varities include Sauvignon Blanc, Cabernet Sauvignon,Cabernet Franc, Pinot Gris, Semillon, and Syrah, with case production of 12,000. For news on Fred's newest Montecito soil varietal look for announcements on the website at www.brander.com.